Can You Reverse Jaw Bone Loss? 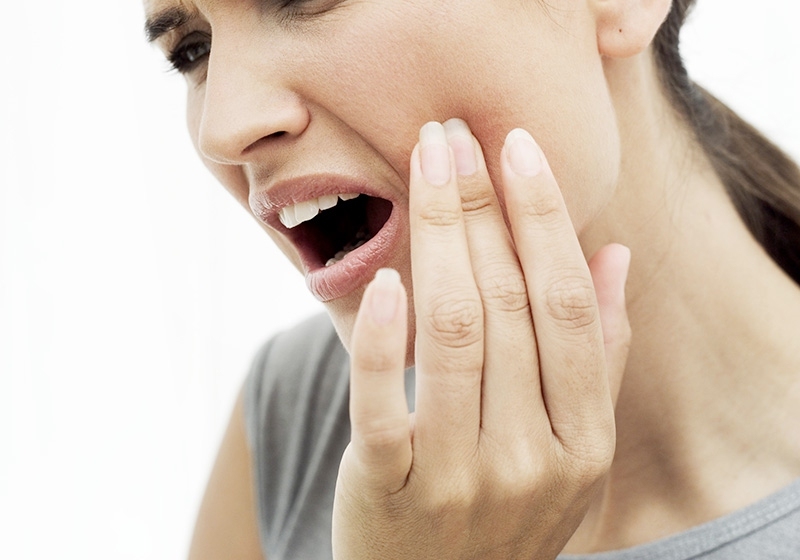 If you suffer from chronic periodontitis or have lost multiple teeth, you are likely to get jaw bone loss. In periodontitis, bacteria eat the jaw bone away; while losing teeth and failing to replace them robs the jaw bone of the workout that keeps it strong and healthy. It is worth noting that the pressure and stimulus produced by chewing help keep the jaw bone healthy. When this pressure is missing, jaw bone is slowly absorbed into the body. But, is jaw bone loss reversal possible? Yes. Jaw bone loss recovery can be done through several treatment methods which include bone grafting, guided tissue regeneration (GTR) and ridge modification. Bone grafting entails surgical regeneration of the jaw bone. Your dentist adds gum and bone tissue to the affected area which allows the jaw to begin generating new bone. However, recovery time and method may differ, depending on the area of the bone being grafted and amount of tissue that is added. Guided tissue regeneration (GTR) method involves placing a biocompatible membrane between the tooth and jaw bone. This membrane allows the bone tissue to regenerate while preventing unwanted tissue from growing to occupy the space left by jaw bone loss. Ridge augmentation or jaw reconstruction creates room for dentures and tooth implants. This process is done through a surgical procedure by a periodontist. As one gets older, tooth loss may raise the need for dentures or tooth implants. However, jaw bone reabsorbtion caused by the tooth loss makes it difficult for the dentist to attach a bridge for dentures, hence need for the augmentation surgery. Brush your teeth twice a day using flouride toothpaste. Make sure to brush for at least two minutes, in the morning and before bed preferably with a small headed toothbrush. See your dentist regularly and at least once every six months. You can also consult a dental hygienist if you require extra cleaning. Floss before brushing. It is recommended that you should use floss or an interdental brush to clean between teeth at least once every day. In the case of people with periodontisis, an interdental-brush is preferred to floss as it does a better job of cleaning debris and plaque. Spit don't rinse. Rinsing your mouth after brushing is a common mistake. However, this washes out the protective fluoride which is meant to strengthen tooth enamel and reduce acid produced by bacteria present in the mouth. Take Calcium and Vitamin D. To further prevent the onset of jaw bone loss, you should make it a habit to include calcium and vitamin D in your diet. Bones largely comprise of calcium. This makes calcium particularly important in bone health. In fact, experts have found that people with osteoporosis (fragile bones) are at a higher risk of experiencing jaw bone loss. Therefore, one should maintain a calcium-rich diet such as milk and its products, kale and sardines or take calcium supplements. Vitamin D is also critical to bone health as it aids in calcium absorption. Although the main source of this vitamin is sunshine, there are foods that are rich in vitamin D. These include oily fish, egg yolk and dairy products. As an alternative, you can opt to take combined supplements of vitamin D and calcium to prevent bone loss and aid jaw bone loss reversal. Quit smoking. Smoking increases ones chance of developing periodontisis since it increases the production of plaque while reducing bone mass. Studies have also found that smoking and old age are some of the major risk factors of tooth loss. Eat a healthy diet. You should eat a vitamin rich, balanced diet to further decrease your chance of jaw bone loss. Deficiency of vitamin C for example, will bring forth gingivitis and bleeding gums. Therefore, ensure you consume fruits and vegetables such as kiwi and broccoli so that you get all the vitamins required by your body to ensure healthy bones. Control your blood sugar. Another effective way to aid jaw bone loss reversal is to control your blood sugar level. This can be achieved through medication, diet and exercise. Research shows that a third of all diabetics develop periodontisis at some point due to high blood sugar levels. Maintaining healthy blood sugar levels reduces your risk of jaw bone loss. Take probiotics. Some studies have revealed that probiotics also benefit your gum aside from benefiting the health of the gut. Other studies discovered that taking oral probiotics is an effective way of managing periodontisis and scaling. Server responsed at: 04/22/2019 2:37 p.m.